Rose and Her Lily: My Tattoo for Lily and Luke! I shared in Lily's 5th birthday celebration blog post that I got a memorial tattoo this year on March 16th, her special day. First of all, I am not a big "tattoo person" and this is the only one I would ever want to get because of it's significance. I didn't want to get something that I would regret, especially something so permanent. I realized that after 5 years of wanting it, this is something that I don't believe I will regret. When tattoos are meaningful, we know we won't "outgrow" them. It's not like it's some random thing I chose to get on my 18th birthday or something. It's a small and elegant tattoo and has the most significant of meanings. Also, I can cover it up with a watch or bracelet if I ever want to (that's part of the reason I chose to get it on my left wrist). Literally, so much thought went into every aspect of this! haha. I didn't want people to think I am a "bad Christian" for getting a tattoo. I know there are some people who won't agree with it and that's okay. I was totally open and asked God to show me if I shouldn't get it. I waited 5 years until I had peace in my decision. I did a lot of research about it from a Biblical perspective before choosing to go through with getting it. As with most anything in life, there is the potential for whatever "it" is to be either good or bad. My motives in getting this are pure and are not out of a rebellious heart towards God or others. And let's be honest, if people are going to judge me, I think they could find a lot of things besides the fact that I have a tattoo. Ha. But seriously, it's not up to me to control what people think of me. I'm just going to be me, while seeking to honor and glorify God in my life and choices. Three Christian women who I greatly admire and respect have tattoos for their children. Mary Beth Chapman (Steven Curtis Chapman's wife) has a beautiful memorial tattoo on her wrist in honor of their daughter Maria Sue (the meaning behind her tattoo is so precious). My friend Bex who placed her son for adoption in 2008 (she was the first person besides Lily's daddy who knew about her) got a meaningful tattoo on her wrist just a few months before I did (pretty neat we both wanted them without the other knowing and got them so close together). And my friend Stacy has a couple different memorial tattoos for her beautiful daughter, Rachel (Stacy is my friend whose non-profit organization, Baby Rachel's Legacy, helped pay off Lily's headstone). The fact that these three women who love Jesus with all their hearts have tattoos helped me make my decision. There were a couple other reasons that I had to think about and work through. One being that I didn't want my future husband to not like it. When I mentioned it to my friend Bex about being hesitant to get a tattoo because I want to honor my future husband, she said to me that out of all the things couples have to work through, a tasteful tattoo for my baby girl would not be an issue. That put things into perspective. If someone would be judgmental about it, I wouldn't want to be with such a man anyways. After nearly 5 years of thinking and praying about it, I decided that Lily's 5th birthday would be the perfect day to get it, a milestone birthday. I wanted to get it on her birthday because that's part of what makes it so special! 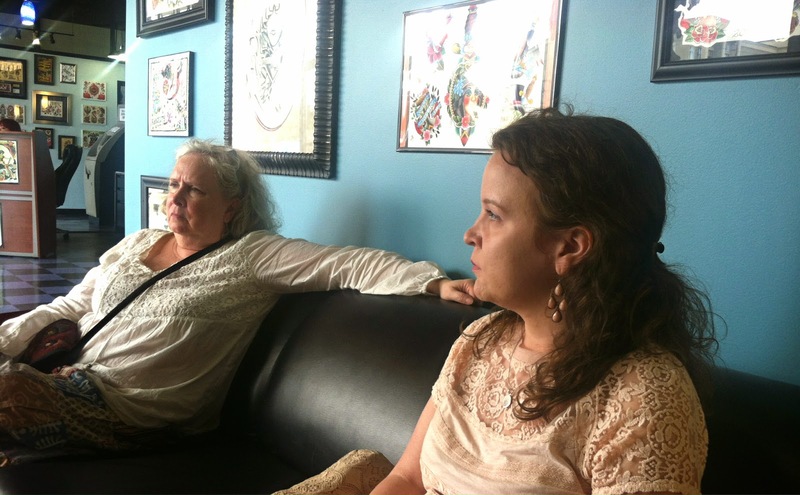 What an awesome memory of planning out my tattoo and going to get it on her birthday with my mom and sister-in-law. I wanted my beautiful baby girl's name permanently written on my wrist, as a reflection of the forever mark she's made on my life. The heart as the dot on the "i" is in honor of the first child of my heart, Luke Shiloh. Lily and Luke's stories are so intertwined, so it's only appropriate they are honored together in the same tattoo. I went from not wanting anyone to know about them to now wanting the world to know they are my children and I am their mother. The heart symbolizing Luke is subtle enough that I can choose whether or not I want to share that part of the story with someone when sharing about my tattoo. Lily's name was one of the only things I could ever give her, one of the only things that's hers. It speaks of her existence and value. After all, one only has a name when they exist. Whenever I glance down, I am reminded of my love for her and the work God has done in me and so many others through her life. It's a memorial to His faithfulness to me in everything and what a gift He gave me in her. Her name is right above my pulse, which reminds me of something my best friend once said to me, "Her heart beats with every beat of your own." Yes. In a letter to Lily that I wrote and read to her at her Celebration of Life Service, I said, "Sometimes it feels like people are already forgetting you, but I won't forget. So don't feel like you're missing out on all the fun, because wherever I go, there you'll be too." This is just another way for me to keep that promise to her. I'll live my life for the both of us. I wanted my tattoo to be tasteful, simple, and elegant. It's a "conversation starter" and I want people to ask me about it so I can share her legacy and the love and hope of Jesus Christ. I knew I wanted it to be in black cursive writing on my inner wrist so that I can read it when I look down, which is technically considered "upside down." But, I got it for me and not for others primarily. I didn't know what font to use and after looking at many different options, I decided to doodle a bit, and came up with how I wanted it myself. I wanted it loopy, girly, and pretty, but still easy to read. So, the tattoo is in my own handwriting, which makes it even more perfect. The tattoo artist was able to create a stencil out of it to transfer onto my wrist. Hopefully, if I have more children in the future, they will be raised on Earth and will always be with me, but this is a way for me to have my first two precious babies forever with me! My friends Bex and Stacy were so helpful through this process. They answered all my questions about the entire tattoo process (I mentioned them earlier and how they both have tattoos) from start to finish (who knew you tip tattoo artists?) They both made me much more informed and confident. They shared with me their own experiences and opinions. They really helped me so much! I am SO pleased with how it turned out and had quite a pleasant experience at the tattoo parlor. 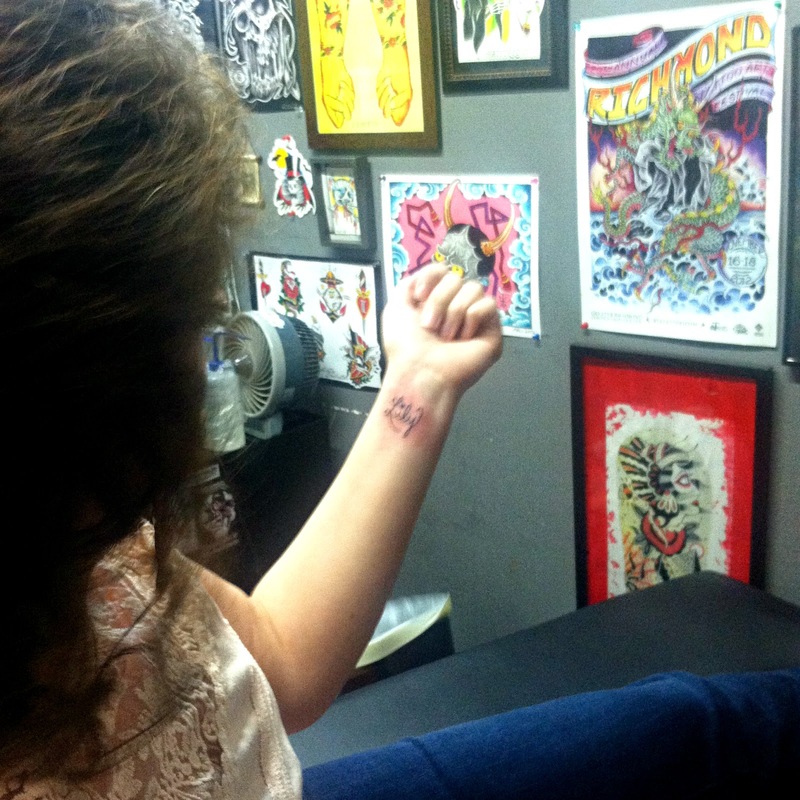 Anyways, I want to share the photos from when I went to get my tattoo. 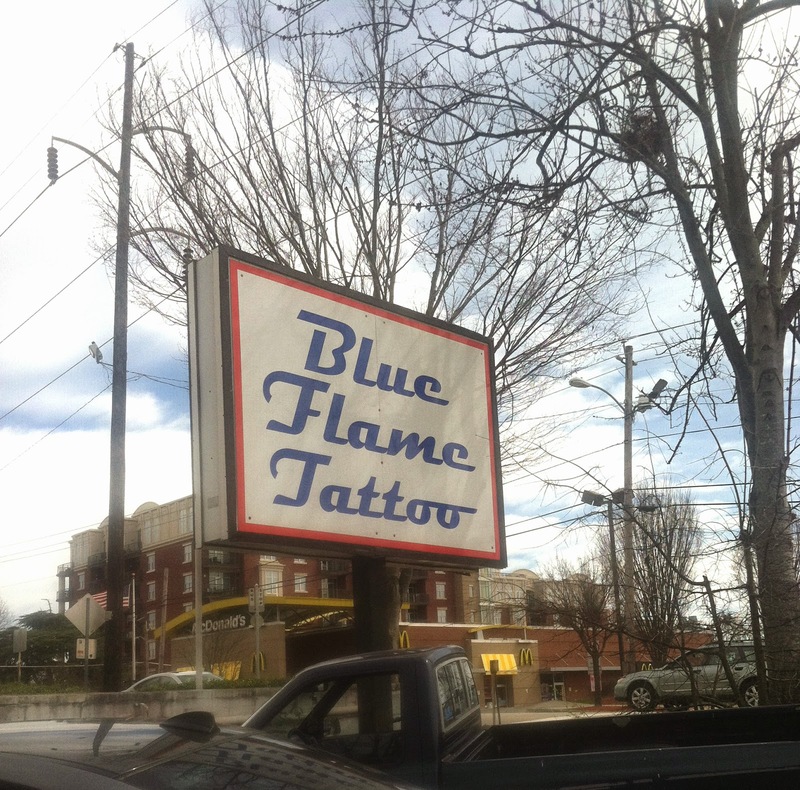 I had a 2:30 p.m. appointment at Blue Flame Tattoo in Raleigh, NC. It took a while to decide what tattoo parlor to go with and what artist. I obviously wanted an established and clean place with an artist who does excellent work. Here I am nervously waiting haha. 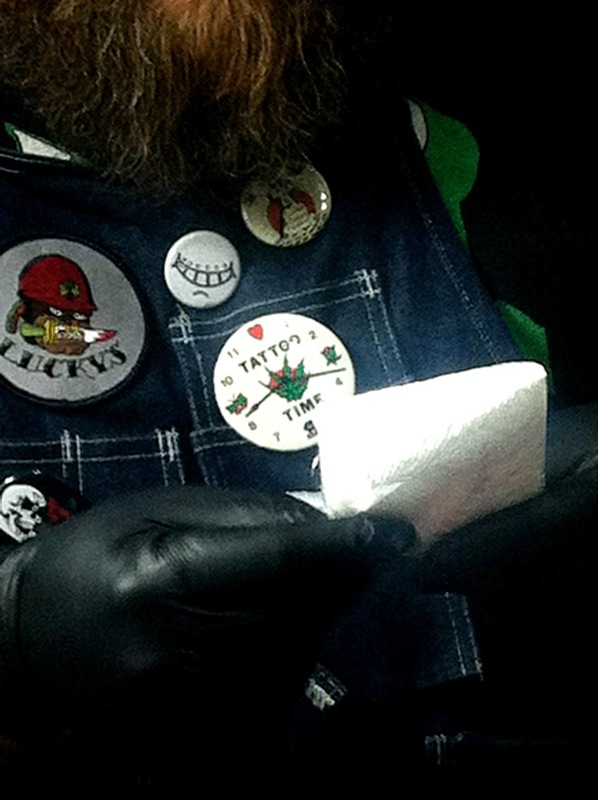 My sister-in-law Kala was in charge of taking photos and got this one of the pin the tattoo artist was wearing that says, "tattoo time" lol. Here is my tattoo artist, Nate, making suggestions to me and giving me his opinion on where exactly my tattoo should go. This must have been right when he started (look at my nervous face ha). I was scared about how it was going to feel and was really worked up. Thankfully, my artist was patient and kind but did tell me I needed to calm down lol. Holding my mom's hand during my tattoo because you're never too old to want your mom. After I realized the pain wasn't as bad as I had feared, I actually enjoyed the experience. Don't get me wrong, it did hurt, but he took breaks and it was over within 10-15 minutes. The experience was emotional for me, thinking about permanently making Lily and Luke a part of me in this way. I said to him while he was doing my tattoo, "this hurts, but it's nothing like the pain of living without her for 5 years." He was a really kind and sensitive person and said he couldn't imagine and that he has friends who have lost children. It was special to be able to share about who Lily is and what the date means to me. As you can tell by my face in this picture, I wasn't so scared anymore. He told me I did a great job staying still and calm. I was even talking during it, but squeezing my mom's hand. 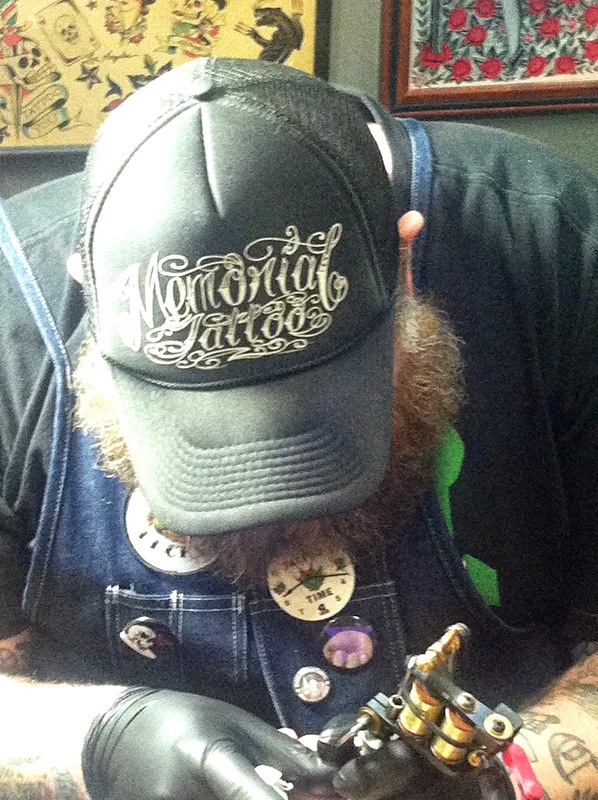 I noticed right away that his hat said "Memorial Tattoo." I thought that was cool since that's what I was getting. 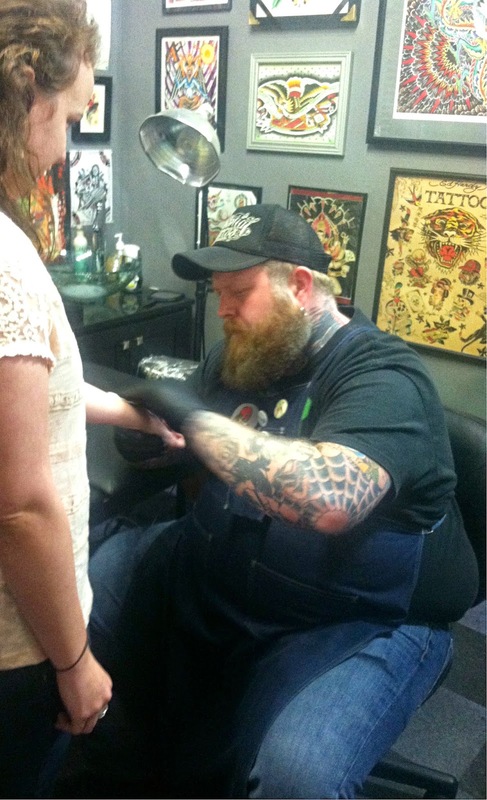 He also started tattooing just a couple months before Lily was born. Seeing my new ink for the first time! I've had my tattoo now for a month and a half. It's completely healed and I love it! I will be able to get free touch ups from Nate as needed. The healing process took a couple weeks. The aftercare was simple, with just cleaning and moisturizing it. If you are thinking about getting a special memorial tattoo, I would be happy to talk with you more about it. 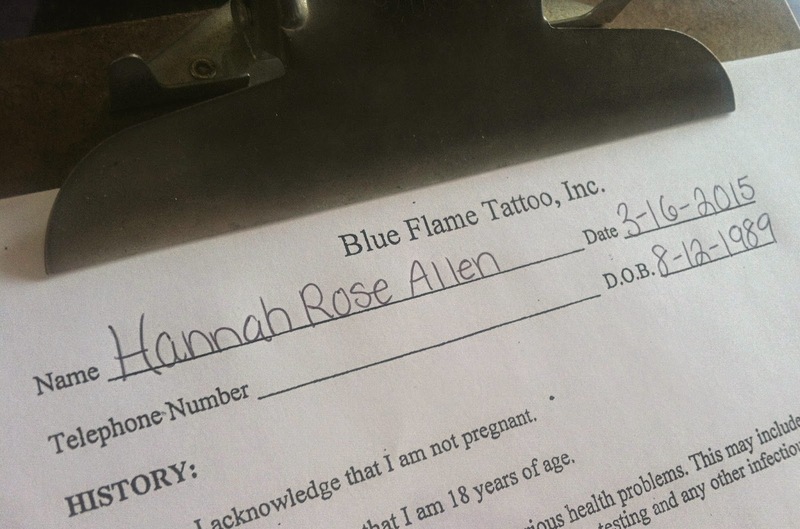 Hannah, you can take something as simple as a tattoo and make a beautiful sorry or of it. I love it. Very meaningful. I love that you incorporated Luke. His life deserves recognition also. Beautiful.